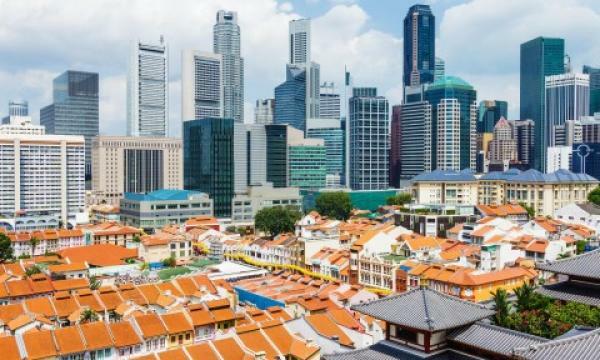 Should Singapore's housing market anticipate more cooling measures? Singapore’s property market has seen a “resurgence” in prices and transactions, according MAS chief Ravi Menon. 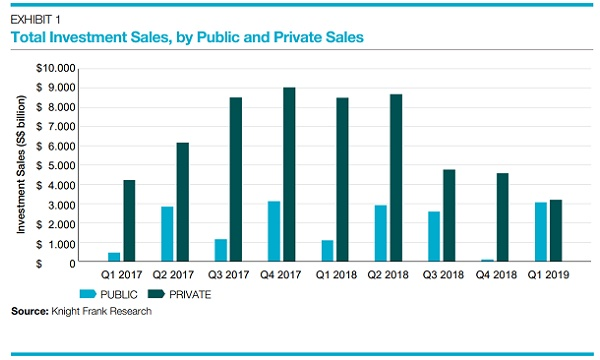 Private home prices have jumped 9.1% since the trough in Q2 2017, helping offset the cumulative price decline of 11.6% during the four-year period between mid-2013 and mid-2017. The number of property transactions over the last 12 months was around 25% higher than during the previous 12 months. However, Menon noted that the new housing loans over the last twelve months have risen by 34% YoY. “The recovery in the property market is welcome but it should not decouple from economic fundamentals,” he said. Households will have to take on more leverage than they are able to manage; this risk will be compounded as interest rates rise over time, Menon warned. The director said that if property prices rise too rapidly, they will outpace the growth in income. “Households will have to take on more leverage than they are able to manage; this risk will be compounded as interest rates rise over time,” he added. Moreover, a rapid increase in prices also raises the risk of a destabilising market correction later when additional supply comes on-stream. Cheong noted that as of 1Q2018, private housing constitutes about 27% of the total housing stock. “Viewed in this regard, we should look at the income growth of the upper income deciles of households. Although from 2012 to 2017, the cumulative income growth for the upper 50% of households was slower than for those in lowest 50% income households, the difference is marginal and when we take into account the base effect (e.g. a 20% rise for someone earning $10,000 per month goes a long way more than a 25% increase for someone earning $1,500 per month), the higher income group has greater capacity to invest than the lower income,” he said. Whilst private property prices drifted down 11.6% from 2H2013 to 2H2017, cumulative household income for the top 3 deciles (70%-100%) rose by 11.5% to 22.5% for the period 2012 to 2017. Meanwhile, Ong Choon Fah, CEO of Edmund Tie & Company (ET&Co), agreed with Menon’s insights. “It is important that property prices are supported by economic growth. This will give us room for sustainable growth because so much of our wealth is in property, we have to ensure long-term viability and this must be supported by economic fundamentals,” he said. Ong added that Singapore needs to be mindful of the risks because it is a very small country and it will be impacted by events such as the global flow of capital as well as interest rates. “We need to build in that risk and consider all these factors when we commit to a property as it is a long-term investment," he added. Lee Nai Jia, senior director and head of research, Knight Frank Singapore, commented that ideally, any growth in the property market lines up with economic fundamentals, and needs to be sustainable in the long term. However, market calibration via government intervention may not be as straightforward, he said. Lee argued that whilst the insights might temper expectations, overall sentiments remain strong. “Additionally, current demand is driven by foreigners purchasing for wealth preservation, as well as buyers who sold their property through collective sales and are seeking replacement homes,” he said. Lee added that there is a greater risk of government intervention, should prices continue to escalate. “With the large supply in the market, however, it would be prudent to monitor the market before taking any reactionary measures,” he said. ERA Realty key executive officer Eugene Lim pointed out that the Government’s key concern is the scale and pace of property price increase vis-a-vis economic and income growth. “We are reminded that the Government stand ready make policy and regulatory changes in order to ensure a sustainable property market over the longer term,” he said. Meanwhile, for JLL research and consultancy national director Ong Teck Hui, MAS’ remarks on the housing market is not unexpected. “It is concerned with the pace of price increases in the first two quarters of this year and the strong bidding for land by developers. The statement that the government is ‘closely monitoring developments in the residential property market, and remain committed to ensuring a sustainable market’ implies that further cooling measures could be imposed, if they are deemed necessary,” Ong said. However, he noted that Singapore is still in the early stage of market recovery and experiencing the effects of pent-up demand driving prices up more strongly. “But with the significant supply for sale entering the market in the second half of this year and 2019, we are likely to see more moderate price increases. Policy makers should consider this in their decision making,” he added. Meanwhile, Cheong noted that if interest rates remain within bounds and expectations of future increases are managed well, the private property market should be able to absorb any gradual increases in rates. "It is only when rates spike and hover at astronomical levels over a prolonged period in time with no respite in sight that not only the property market will be shocked, but other sectors of the economy as well. The constant reminder by the authorities of the interest rate risk factor shouldtherefore be taken positively because it manages market expectations so much so that even if rates rise it was not without previous warning." Cheong noted that when Menon said the MAS is monitoring the housing market’s developments, it is a way of sending a message to pad down over exuberance. “Contrary to conventional thinking, policy makers must sometimes fire warning shots to mitigate the risk of markets going ballistic and subsequently stalling. This kind of statements are therefore ‘very’ necessary,” he added.